You're a VIP for your concert... Ride in a limo! So you’ve got some tickets to go see your favorite artist performing in San Antonio. Why not add a luxurious limo ride on to that awesome experience? With San Antonio Top Limo, we can provide you with a luxurious limo that fits your needs. You can choose from any of our sleek limos, or go for the big boy with our stretched SUV limos. Whatever you may need, we have you covered with VIP treatment for you and your guests. ​Anywhere you need to go in San Antonio or the surrounding areas for performing arts, know that San Antonio Top Limo can get you there on time and in style. 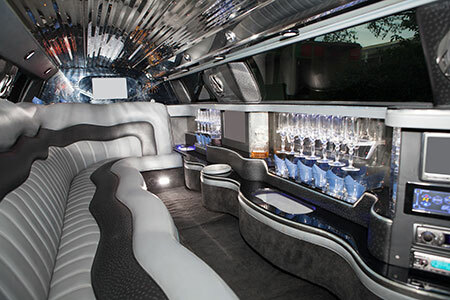 Choose one of our amazing limos, and get ready to ride in comfort. With tech such as lighting, superior surround sound systems, and flat-screen TV’s, you can enjoy some time relaxing in the back of one our limos with your friends. Tell us where to pick you up and we can make it happen. 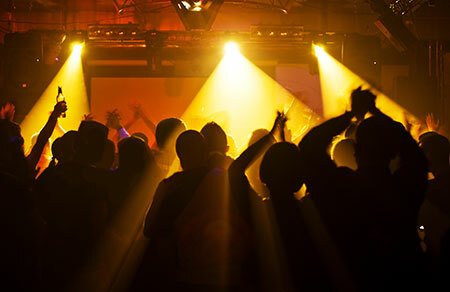 You can make this concert the best one you have ever been to starting and ending with VIP treatment from one of our professional limo chauffeurs. Enjoy your private limousine and arrive to that concert just like the star that’s performing. You won’t have to worry about parking in a garage either. Our driver will set you on foot right outside the door of the event, so you won’t have to sweat having to take that extra ten-minute walk just to get inside. And while you sit back in our luxurious leather seats, enjoy some of your favorite tunes on our awesome surround sound speaker system. You could even learn those extra words to that song you want to sing along with at the concert. And you can even enjoy a cold beverage while you’re at it, just to make sure your voice is clear and crisp. Get all your friends singing along and just have a great time. Let your friends know you’ve got their drive covered, and order a luxury limo from San Antonio Top Limo. With all of our options, ranging from sleek luxury stretched sedans, to beefy, muscular stretch SUV’s and Hummer’s, you get to choose what you show up in. And we can guarantee you’ll get some astonished looks when you arrive to the event. It’s not every day you get to show up in a luxury vehicle to see your favorite performing artist, so make it the very best it could be with San Antonio Top Limo. We’ve got you and all your guests you want to tag along covered with our professional chauffeur, sick surround sound speaker system, flat screen TV’s, and cool lighting. Make this night unforgettable with our amazing limousine services, and show off to your friends with some sick tunes and cold drinks inside our vehicles. You won’t regret making the call, so go ahead and give us one. We can make your concert experience the best it has ever been with one of our luxurious, tech filled limousines.